WACOG provides Medicare counseling and benefits enrollment assistance to older adults through SHIP (the State Health Insurance Assistance Program) and our Benefits Enrollment Center. 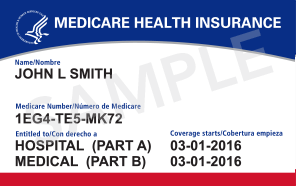 Finding the Medicare Advantage or Medicare Part D (prescription drug coverage) plan that meets your needs. How to save money by avoiding penalties or enrolling in programs that help with Medicare premiums, prescription drug costs (based on income). The Benefits Enrollment Center (BEC) provides information and application assistance to eligible Medicare beneficiaries for governmental that help save money on food, utilities, healthcare costs, and more. Contact us at 928-217-7162 (Yuma or La Paz) or 928-377-4364 (Mohave) for more information or to set an appointment. This project was supported from the U.S. Administration for Community Living, Department of Health and Human Services, Washington, D.C. 20201. Grantees undertaking projects with government sponsorship are encouraged to express freely their findings and conclusions. Points of view or opinions do not, therefore, necessarily represent official ACL policy.